Congressional investigations present unique challenges and pitfalls, and Wiley Rein has the experience, resources, and expertise to effectively manage this perilous and often unfamiliar process. We regularly represents a range of corporate clients and their executives in all stages of congressional proceedings. Whether responding to a subpoena or request for information, preparing for interviews, or assisting with testimony before a U.S. Senate or House Committee, our we know how to navigate the process. Wiley Rein also proactively seeks to help position our clients to identify, respond to, and shape anticipated investigatory activities to meet their objectives. Our Congressional Investigations attorneys intimately understand both the spoken and unspoken rules by which congressional investigations are conducted. Our many years of experience and extensive network within Washington, DC provide critical insight in negotiating with staff members on the Hill to ascertain and limit the scope of requests for documents or interviews. Our Congressional Investigations attorneys include former federal and military prosecutors, congressional counsel, and former legislative counsel and congressional staff members, among others intimately familiar with the process. Our lawyers have worked for some of the principal investigatory committees of both the House and the Senate, including the U.S. Senate Committee on Commerce, Science, & Transportation and the U.S. House of Representatives Energy & Commerce Committee. We continue to interact regularly with Senate and House Committees. We enjoy strong relationships with policymakers in Congress, including members of the Senate Committee on Homeland Security & Governmental Affairs and the House Committee on Oversight & Government Reform. Wiley Rein has helped industries and companies pursue multi-pronged strategies on the Hill and in agencies to drive regulatory activities and litigation and manage their associated challenges. We have relationships with and expertise before many of the federal agencies setting the agenda for industry, including the Federal Communications Commission, the General Services Administration, the Environmental Protection Agency, the Department of Justice, and the Department of Defense, among others. In addition, Wiley Rein maintains a staff of experienced and effective political consultants, including former members of Congress and staff, who are able to assist with managing the political and media-related aspects of a congressional investigation. 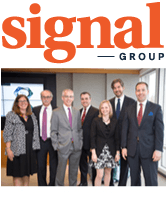 We also utilize the strategic communications resources of Wiley Rein’s subsidiary, SIGNAL Group, which provides an expanded network and supplemental congressional investigation resources, particularly in crisis management. As a Washington, DC-centric firm, we are perfectly positioned to address the complex assaults our clients often face from the government. We regularly represent clients under threat of investigation, and our goal is always to successfully resolve issues behind closed doors and without any hearings, document requests, or other formal investigative actions by Congress. A sampling of our representative matters is listed below. Responded to multiple, concurrent investigations by three different committees in the House and Senate, as well as a barrage of media inquiries regarding a high-profile, politically-charged government IT project. Represented a major provider of financial products and services in a House Committee on Energy and Commerce investigation into alleged improper solicitation of funds by a high-ranking Executive branch official. Represented a leading national nonprofit in a Senate Finance Committee investigation relating to pharmaceutical pricing and marketing. Represented a public policy group in a Senate Indian Affairs Committee investigation relating to allegations of impermissible lobbying by charitable groups. Represented a defense contractor in contemporaneous House Committee on Oversight and Government Reform and Senate Armed Services Committee investigations into allegations of corruption in the U.S. supply chain in Afghanistan. Represented several major corporate and trade association clients in the financial services sector in responding to broad Office of Congressional Ethics requests for information and documents in an investigation into alleged improper linkage between political fundraising activities and action on financial reform legislation. Represented a major telecommunications company and a national insurance firm, including high-ranking executives of both clients, in a House Ethics Committee investigation of and disciplinary proceedings concerning a long-tenured Member of the House of Representatives. Represented a major insurance entity facing multiple investigations by the House Committee on Oversight and Government Reform during the economic crisis, which enabled the company to obtain the best possible outcomes. Represented a financial services provider in responding to a subpoena from the GAO’s Forensic Audits and Investigative Service and Office of Special Investigations, which was the bank’s first notice of a congressional investigation. We helped contain the sensitive matter and prevented it from escalating into congressional hearings.